Jan 8 - Read-A-Thon starts! Bookmark Contest Designs due! All info here. The PTA Diversity Committee is planning a school-wide, international event in February. This event will represent different countries and cultures. We are planning on having dedicated individual booths for each country or culture. We are going to need volunteers who would like to share their knowledge of a country or culture with the community. Please contact Shannon Tam and Abby Palanca, Co-Chairs of the Diversity Committee at PTA_Info@ps154.org if you are interested in participating. Learn about PS 154’s new Science Day and vote on a proposal for additional Science Funding. Get an update on PTA fundraising and winter and spring events. Last month, your teacher emailed you a letter from Principal Buckley with a link to a very important survey. It is very important that every student with an IEP has a parent fill out this survey. Please fill out one survey for every child in your family who has an IEP. 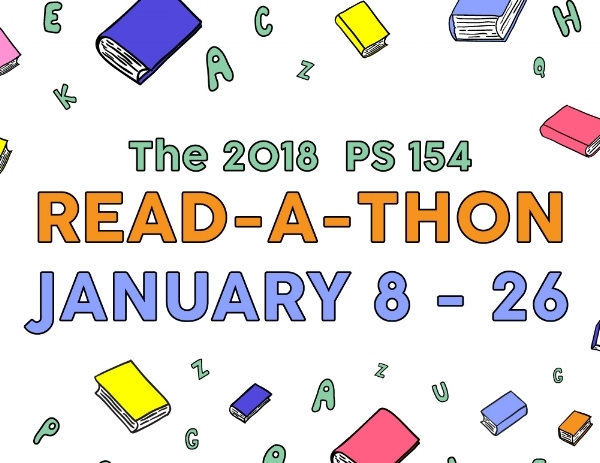 THE PS 154 READ-A-THON STARTS MONDAY! How many minutes can you read in 19 days? You can get your kid excited this weekend by working on a BOOKMARK CONTEST entry. They’re due Monday. Print out your Read-A-Thon packet if you didn’t see the one that came home, and get ready for this fun event which encourages reading! All info is here. Every $ and ¢ raised supports our school, so rally friends and family to support your young reader! This event has been organized by the Committee for Students With Special Needs. Learn the New York City special education process, including timelines for referral, evaluation, services, placement, and parent rights and role. Presentation by IncludeNYC. 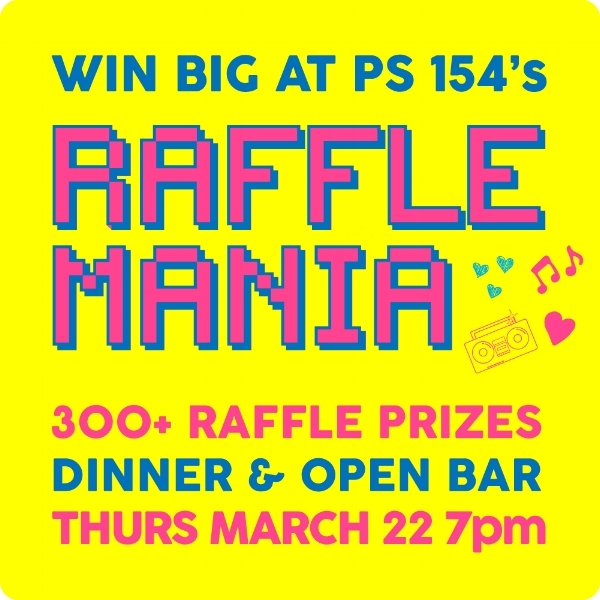 Coming up on March 22nd is our biggest adults only fundraiser of the year: Raffle Mania! Raffle Mania is back for its 3rd consecutive year and bigger than ever. We’ll have more games, more raffles and our biggest fundraising goal yet: $50,000! Bring your friends and family, and help us meet that goal. Dinner and open bar are included.